I don’t know why, but my two year old is already in Christmas mode. At the first sign of snow, she exclaimed, “Is it Christmas yet?! 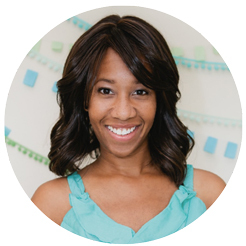 ?” I have a feeling the next several weeks are going to be a blur of that question being asked repeatedly, unless I do something to help her visualize just when her favorite holiday (and Santa) will finally arrive. 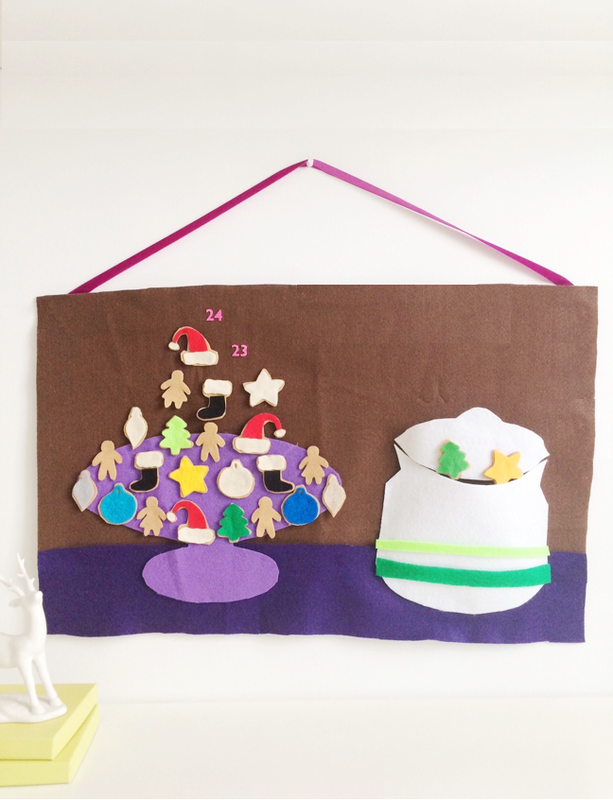 Of course, we have to leave a heaping plate of cookies for the jolly guy, so I made this DIY felt cookie jar advent calendar to help make counting down the days super sweet. The jar actually holds the little cookies until you’re ready to add each on to the plate! The girls fell in love with these little cookies, and they both thought the cookie jar was adorable. After I’d cut the cookies shapes and cookie jar stripes, they helped place each one exactly where they wanted them. Once the holiday is over, just drop the cookies back into the jar, roll the entire advent calendar into a cylinder, and store with your other holiday decor. It couldn’t be simpler. 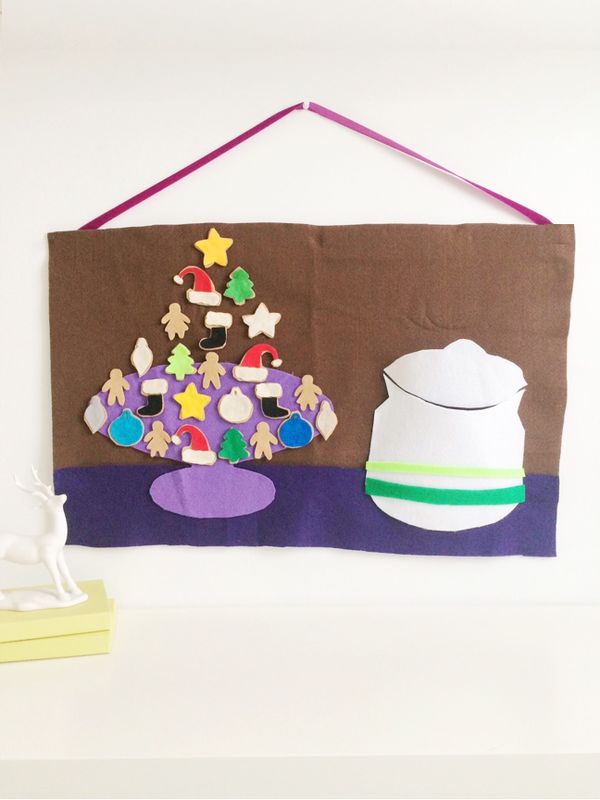 Step 1: Print the cookie jar advent calendar template, and cut out each shape. Using a marker, trace each cookie shape three times onto caramel colored felt. Trace each cookie shape three times on various colors of felt. For example, you should have one purple star, one pink star, and one cream star, as well as three caramel stars. Step 2: Cut out each caramel cookie shape on the lines you’ve traced. Cut each frosting shape inside the traced line. These colorful shapes should be slightly smaller than the coordinating cookie shape. Step 3: Place a small dot of hot glue in the center of a caramel cookie shape, and place the frosting on top. Felt adheres to felt, so there’s no need to glue around the perimeter of the entire cookie. Repeat for each cookie to create a total of 24 “frosted” shapes. Set aside. Step 4: Trace the cake stand onto your chosen color of felt, flip the template over, and trace it again to create a full cake stand. Repeat this process with the cookie jar template. Cut out the cake stand and cookie jar. If you’d like to decorate your jar, cut out a 1″ wide strip of felt and a 2″ wide strip in differing colors. Glue both strips onto the jar. Step 5: Cut a 28″ x 22″ background for your advent calendar. Cut a 3″ x 24″ strip of felt in a different color to create a countertop to ground the cake stand and cookie jar. Glue the countertop onto the background. Step 6: Glue the cake stand and cookie jar into place. To create a jar that bows out, glue the sides slightly closer together than if the jar were lying flat. Glue only the corners of the lid into position so that the lid can easily pivot open and closed to retrieve or conceal cookies. Set aside to dry. Step 7: Cut a 28″ x 2″ piece of cardboard. Align it 2.5″ below the top edge of the backside of your calendar, and secure it in position with glue. Flip the calendar frontside up, and fold the top 2.5″ of fabric over the cardboard on the backside. This will make your calendar more sturdy for hanging. Attach your decorative ribbon to each end of the cardboard. 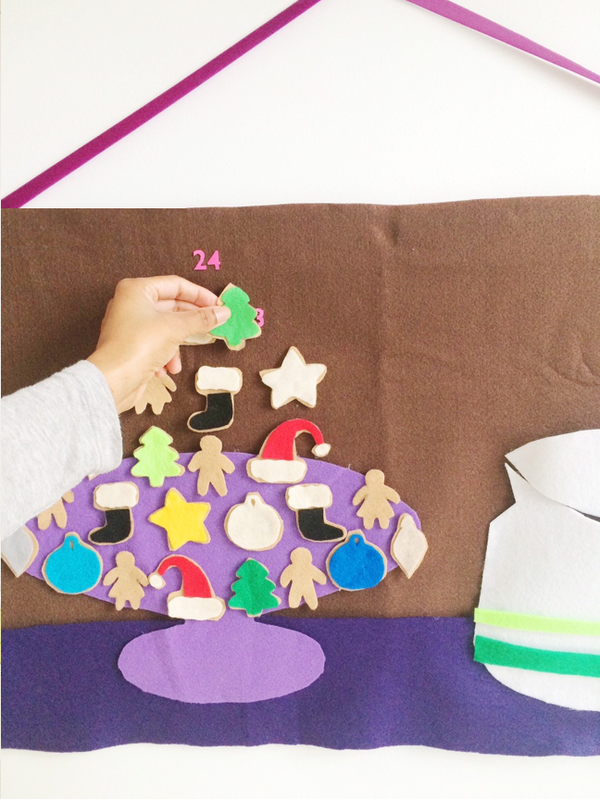 Step 8: Cut out the numbers 1-24 on the advent template. Position them on the cake stand with the number one at the bottom left. Continue to add numbers using a small dot of hot glue from left to right on each row. Each day, retrieve one cookie from the jar, and place it onto the number of the corresponding day for your countdown.